Bangladeshi officials have named five of the men who on Friday carried out the country's worst terrorism attack and said they were known to police. Twenty hostages, most of them foreign, were killed when Islamist militants stormed a cafe in the capital, Dhaka. Two police officers also died and 30 were injured. After a 12-hour siege, commandos rescued 13 people. Bangladesh's home minister said on Sunday that the attackers belonged to a local militant group which has been banned for more than a decade. "They are members of the Jamaeytul Mujahdeen Bangladesh (JMB)," Asaduzzaman Khan said. "They have no connections with the Islamic State." Mr Khan said the men made no demands during the attack. He said three of the gunmen were under 22 and had been missing for six months. Police chief Shahidul Hoque made some of the men's first names public: Akash, Bikash, Don, Bandhon and Ripon. Six attackers were killed in the raid on the Holey Artisan cafe in the Gulshan neighbourhood. A seventh man was arrested and is still being questioned. It is not yet clear what involvement he had in the attack. IS had earlier released photographs of the alleged attackers posing in front of a black IS flag. The men were said to belong to well-to-do local families. They studied in private schools and universities, not in Islamic seminaries or madrassas, where many Islamist militant groups are thought to draw recruits. 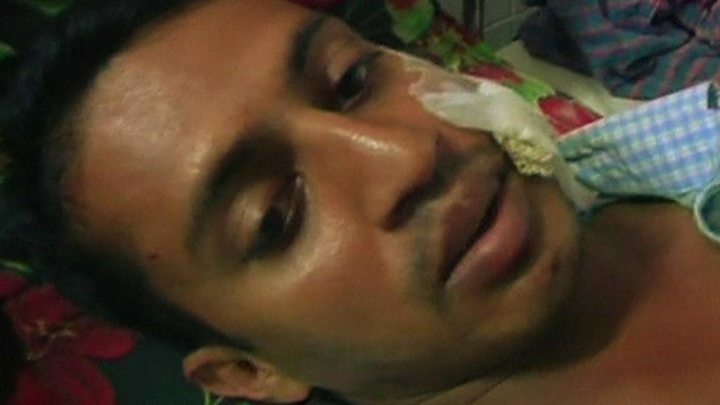 Social media has been buzzing with former classmates who have recognised some of the attackers from their pictures, says the BBC's Sanjoy Majumder in Dhaka. Bangladesh has declared two days of national mourning. Nine Italians, seven Japanese, one US citizen and an Indian were among the dead. One Italian is unaccounted for. The JMB group has been blamed for a wave of small-scale terrorism attacks in Bangladesh over the past year, including the killings of secular bloggers, atheists and an LGBT rights campaigner. Its top two leaders were arrested and executed in 2008, after near-simultaneous bomb attacks in all the country's 64 districts. Prime Minister Sheikh Hasina has consistently denied that IS has made inroads in to Bangladesh.